I just wanted to share a selection of the lovely items I have for sale on ebay this week. 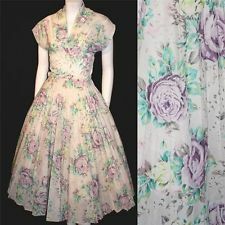 I have really been raiding my extensive collection to bring you some of THE best 50s dresses out there. This lovely Kitty Copeland dress has a matching jacket. 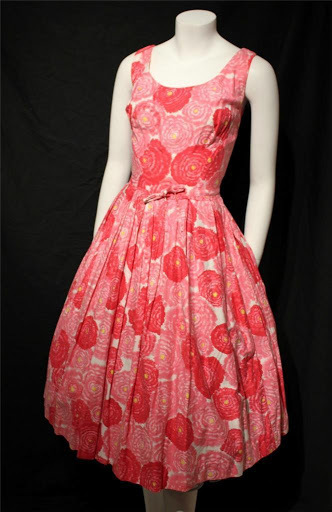 I originally purchased it with a selection of super high quality late 50s ready-to-wear items. A number of which I will be selling shortly. 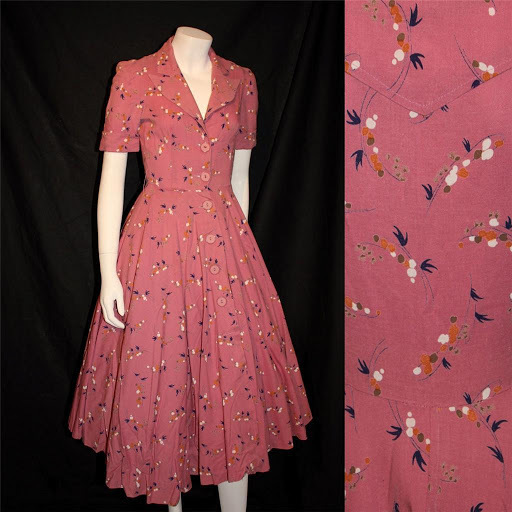 The lady also had dresses by the likes of Sambo fashions (the sambo dress has a label I have never before seen! ), Victor Josselyn and 1950s Wallis too. View the listing here. 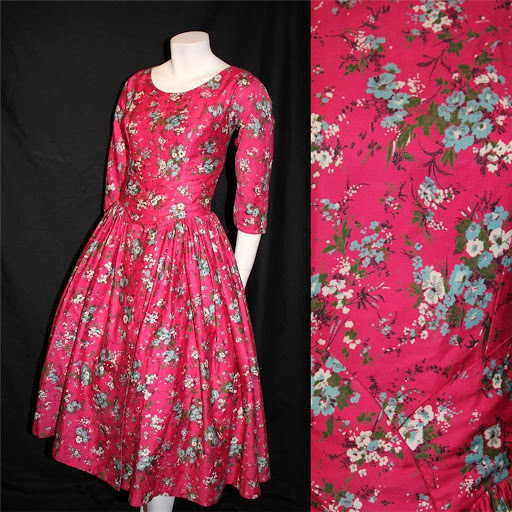 I adore this little pink number, and I am sure the dress is a Horrockses number, even though it doesn’t have the infamous label. 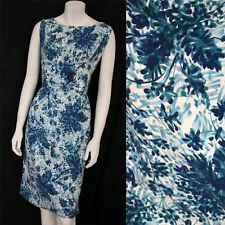 The print is one that I know I have seen before (I think in one of the Horrockses pattern books). Get this at a bargain price as it doesn’t have the label, but trust you are buying a superb quality item! i can’t believe I am selling this amazing dress by Melbray, I think it is the best quality dress I have on offer this week, and has a really look of Dior to it in its shaping. Due to the bold print it was difficult to capture in the pictures, but trust me it is a showstopper! 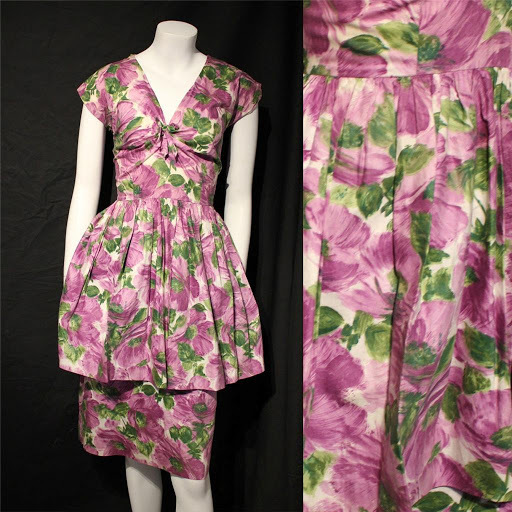 Not to worry if full skirts aren’t your thing, I also have a selection of late 1950s wiggle dresses too. The selection of pretty vintage nylon dresses (all with crazy full skirts) all came from the same lady. This little number, probably by London Town has to be one of the most unusual shape 1950s dresses I have had the pleasure of owning. 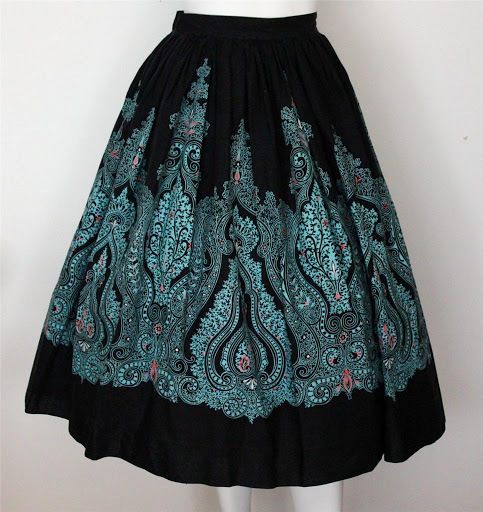 I also have a selection of fab vintage 50s skirts on offer. 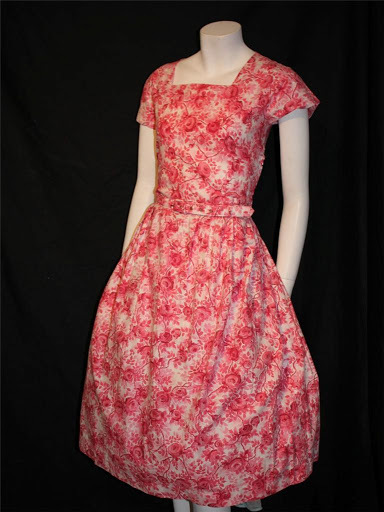 This 70s dress is so wearable, and can easily create an authentic 50s look. I love the button front style. It also has its original belt, but I forgot to photograph this when I was writing out all the listings. 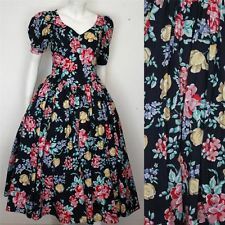 I also have a selection of original 80s Laura Ashley dresses. These are all still at absolute BARGAIN prices (seeing as I often see LA dresses of this age go for £50+). Such beauties, all of them! <3<3<3 You just opened Pandora's box!